The St-Germain Spritz and a Story. 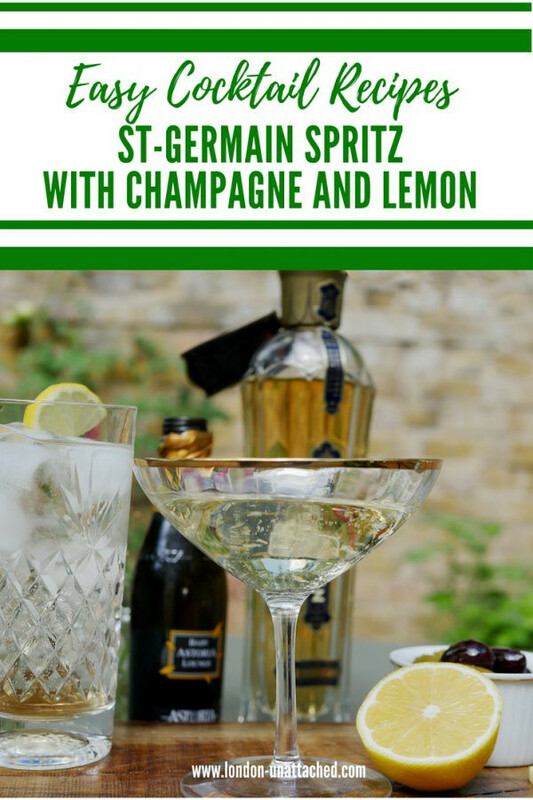 Thanks to a bottle of ST-GERMAIN® Elderflower Liqueur sent to me to review, I’ve been making cocktails again, in particular trying the recipe for a lovely light summer drink called a St-Germain Spritz. It’s a mixture of just a handful of cocktail cabinet ingredients and is super easy to make. Perfect for summer. I love the fragrant taste of elderflowers – if I was a better food blogger, I’d have my own store of homemade elderflower cordial but I have to confess I generally buy mine and keep it in the fridge to tart up a glass of sparkling water. But, a St-Germain Spritz sounds so much better, doesn’t it? Although I’ve had cocktails with St-Germain in them at fashionable artisan bars around London, I’ve never had a bottle of my own before. Now I am an addict and I’ve added the classic St-Germain Spritz recipe to my own repertoire. 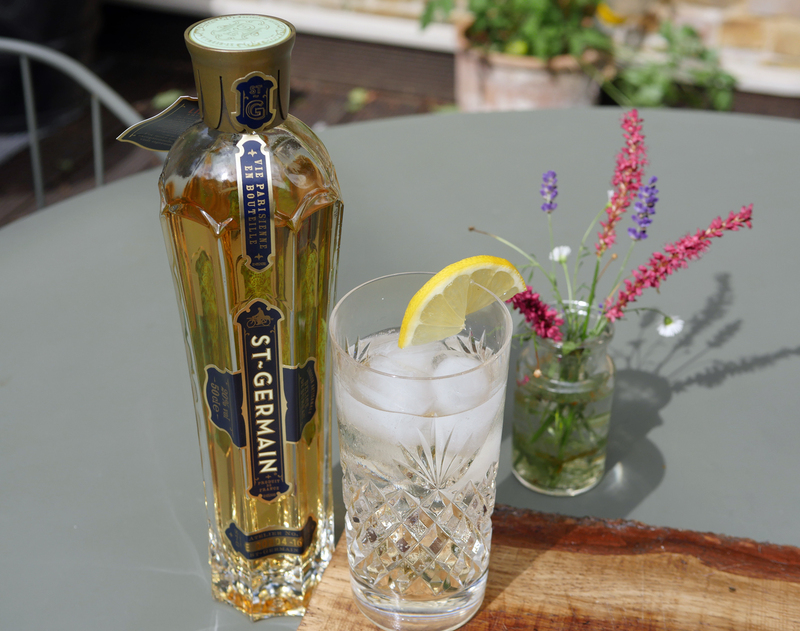 St-Germain spritzed with champagne or prosecco makes a perfect summer drink. Light and fragrant, since St-Germain is 20% proof, the recipe for the St-Germain Spritz makes a long drink with the same kind of alcohol content as a glass of wine. But, it’s somehow a lot more sophisticated than a white wine spritz…a heady combination of champagne, prosecco or sparkling wine and citrusy, lightly floral St-Germain. If I didn’t know better, I’d have placed ST-GERMAIN® Elderflower Liqueur in the back streets of the Sixieme, in Paris. A drink that perhaps touched the lips of Satre and de Beauvoir, that was behind the bar at Les Deux Magot and that even featured in ‘Down and Out in Paris and London’. As it happens despite being described as ‘Vie Parisienne en Bouteille’ it simply didn’t exist in the 19th and 20th Century. 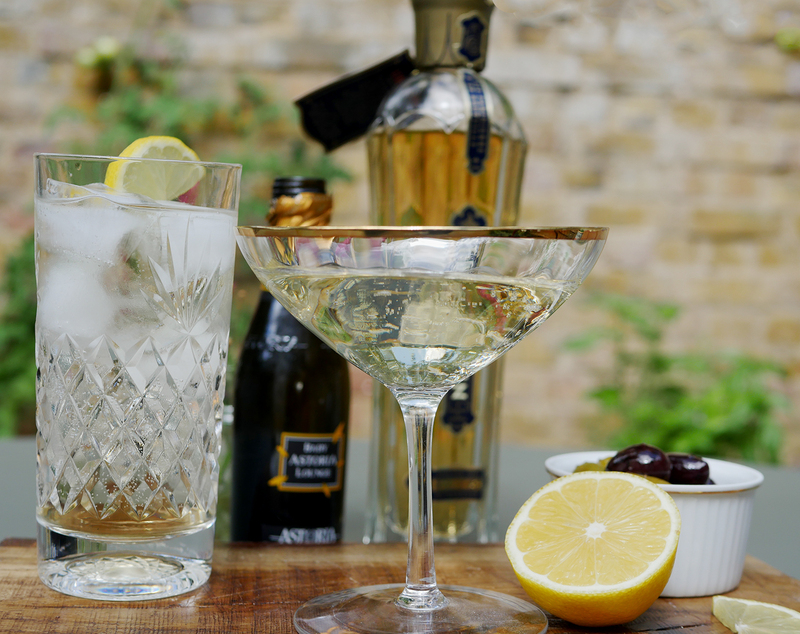 It’s a remarkable and delicious creation of a young third-generation distiller, Rob Cooper, who defied his father to create ST-GERMAIN® Elderflower Liqueur, the world’s first French liqueur made with fresh elderflower blossom. Inspired by his visits to London and Paris where he’d tasted elderflower cordials, Rob set about creating his own craft liqueur. 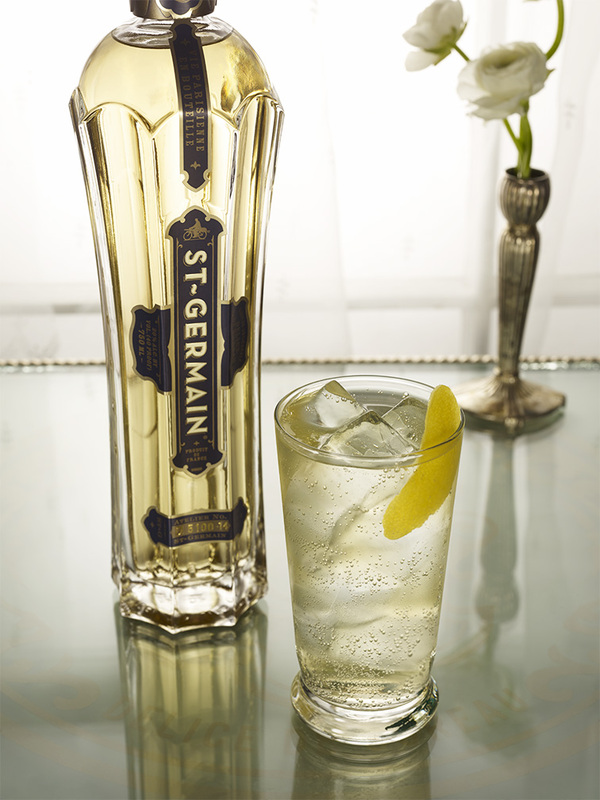 Despite the lack of family support, he succeeded in launching ST-GERMAIN®. So popular was the drink that it quickly became known as The Bartender’s Ketchup (although it’s more like a ‘salt and pepper’ ingredient, adding a subtle nuance to a cocktail). It was something that became an essential component of all edgy, fashionable bars in Europe and the USA. In a stunning art deco style glass bottle, it looked the part too. Bacardi, the World’s leading premium drinks company, acquired the brand in 2013, with the aim of launching ST-GERMAIN® Elderflower Liqueur across the world. And, the liqueur continues to grow in popularity – a legacy to Rob Cooper who died in 2016 at the age of 39. As I’ve mentioned already, the cocktail for which St-Germain is best known is simplicity itself. 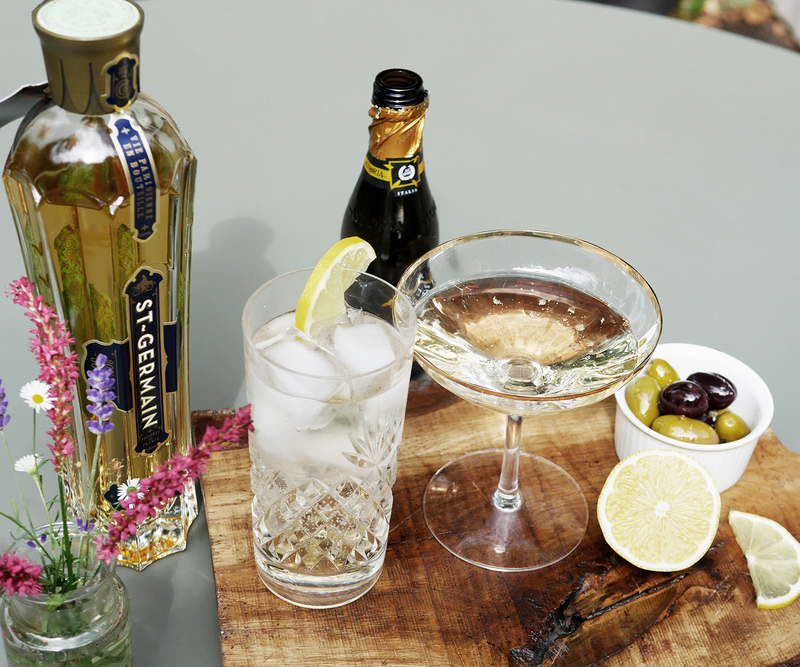 Here’s the recipe for the St-Germain Spritz. I promise you once you’ve tried it, you will be hooked! I’ve tried mine in various other forms already – I rather like it neat on the rocks in the evening. And, it makes a lovely ST-GERMAIN® Royale by using one part ST-GERMAIN® to 3 parts sparkling wine. I REALLY want to try some poured over lemon sorbet too. I would add it to white wine and ice. probably try vodka and lime mixed with it. I’d use it with gin or prosecco to make cocktails. Many, many delightful cocktails my dear people! I think a splash would be lovely in a Tom Collins!